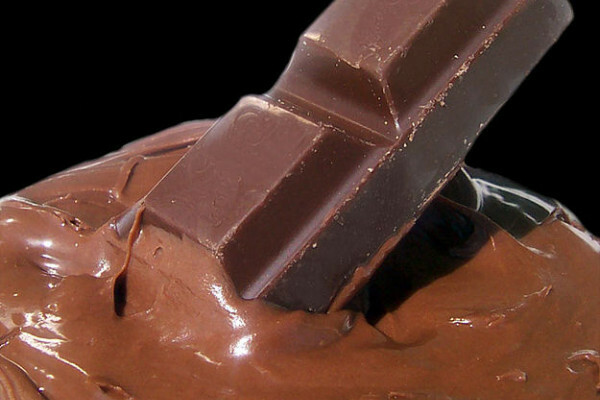 Why does overeating chocolate tend to make you feel sick faster than most other foods? Kat - This is probably down to the sugar and I've conducted lots of experiments in this area! You may notice that you feel sick after over indulging on any kind of very sweet food, whether it's chocolate or cakes, or sweets... Not very good for you but tremendous fun! This gives your body a massive hit of sugar, all in one go. It raises the level of sugar in your bloodstream and causes something known as hyperglycemia. It's this state of being hyperglycaemic that makes you feel sick. Now in most people, this just sends our pancreas into overdrive. We produce loads of insulin. The cells of our body take up this excess sugar, everything returns to normal, apart from maybe wanting to stay off the cake for a bit. But actually, in people who have diabetes, this doesn't happen properly. Either they don't produce enough insulin or their cells don't respond to the insulin properly and take up the sugar. Previous Why does glass allow light through, and how does it speed up again? Next Why do I see two reflections? Does the menstrual cycle affect willpower? I've always had this. It was worse when a kid, and made me really not like chocolate that much as a child. It has gotten better as I have gotten older. I find that if I eat chocolate when I haven't really eaten much else, it's when it is worse. Thank you for your answer, but I still get this sick feeling after using raw cacao powder, and no sugar, but sibstituting with xylitol and Luo Han, which either doesn't increase blood sugar levels or very slightly does. Any further answers? Yes doesn't seem to matter raw does the same to me- headaches and stomach. Love to know more about why!